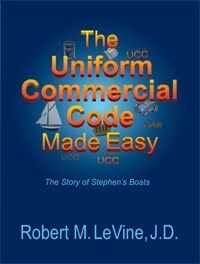 The Uniform Commercial Code (UCC) made easy is a ground breaking, easy to read, must have guide through the complexities of the Commercial Code. Never before has a short story been used to show and tell how these laws apply to the real world of business transactions. There are a couple of things to be noted in Section 2-305(1). First, there must be requisite intent by both parties to the contract for the open price term to be valid. Second, it is important to remember the full import of the definition of ‘agreement’ when trying to ascertain whether the parties ‘agreed’ to an open price term. Such an agreement can arise by way of course of performance, course of dealing and usage of trade. There are situations where the parties agree that a seller or buyer must set a price. In such a situation, the price must be fixed in good faith. Once again, we see the concept of good faith figuring into the equation. If the parties are merchants, this requires ‘honesty in fact and the observance of reasonable commercial standards of fair dealing in the trade.' Remember that this definition, unlike the definition of ‘good faith’ in Article 1 ties ‘reasonable commercial standards of fair dealing’ to whatever trade is involved. One might have difficulty imagining an ongoing business practice of entering into open price contracts. However, when viewed in the context of a fluctuating market, an open price term makes perfect sense. The petroleum industry offers an excellent example of an industry that has an ongoing practice of open pricing. Litigation within that industry demonstrates some points raised in earlier posts. For example, is the good faith standard based upon a subjective analysis or an objective analysis. In fact, in Mathis v. Exxon Corp., 302 F.3d 448, 454-57 (5th Cir.2002), the Fifth Circuit interpreted Texas law on the question to involve both subjective and objective standard. [t]he parties if they so intend can conclude a contract for sale even though the price is not settled. In such a case the price is a reasonable price at the time of delivery. A price to be fixed by the seller or by the buyer means a price for him to fix in good faith. Exxon contended that its pricing was proper inasmuch the price charged was within the range of its competitors pricing and therefore established the ‘commercial reasonableness’ requirement of good faith. The dealers’ contention was that even if the price set was within the range stated by Exxon, good faith required more. In essence, the dealers stated that if the ultimate purpose of Exxon was to drive the franchises out of business, this would violate the ‘honesty in fact’ portion of the good faith requirement. The Court discussed comment 3 to Section 2-305 in great detail, noting that in a ‘normal’ case the type of standard pricing used by Exxon would have satisfied the good faith requirement. However, the court went on to state that a lack of subjective good faith, such as the one alleged by the dealers, would take the pricing of Exxon into the realm of bad faith. Accordingly, the judgment of the district court in favor of the dealers was affirmed. The Tom-Lin case is brought to your attention for several reasons. First, to illustrate the differences between the interpretation of the good faith requirement under Section 2-305; second to remind you of the importance of understanding key UCC provisions of any state in which your client might be doing business. To the extent the transactions involve multiple jurisdictions, a party can draft the law of the favorable jurisdiction to control, provided the requisite contact with the chosen state exists. As the Mathis and Tom-Lin cases indicate, the differences can have a dramatic impact on the outcome.